Although the taxi cab industry in Austin is not often considered a power player in politics, individuals, top executives and owners have spent thousands of dollars in this city council election cycle. In particular, the election for the Austin City Council Place 3 seat has seen substantial amounts of money flow into it from the taxi cab companies. The race is between incumbent Randi Shade and newcomer Kathie Tovo. 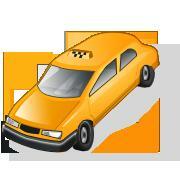 With well over $210,000 raised by the candidates, the taxi companies have accounted for nearly $18,000 of that money. The influx of money can be attributed to disagreements within the industry by management and cab drivers as described in the Austin American Statesman article by Ben Wear. In the article, General Manager of Austin Yellow Cab Edward Kargbo is quoted as saying that they donated to “council members who we have found to be open to sitting down and hearing both sides.” The main debate is over whether legacy permits should be issued by the city council. The permits would allow drivers with at least 5 years of experience to bypass the three major taxi companies in Austin. The taxi companies are worried that this would lead to a loss of control in the marketplace. In the Place 3 election, Tovo has stated she is in favor of legacy permits whereas Shade has said she is opposed to it. The council’s response to the drivers’ concerns was to pass a resolution ordering the city’s staff to develop recommendations on a variety of issues involving taxis. In September, city staffers gave the council a briefing that included some immediate recommendations and items for further study. Those recommendations included putting into the city code regulations for “low-speed electric vehicles,” a suggestion that has complicated the taxi dynamic this election season. “It’s not the city’s job to create a special niche for one guy’s business,” she said. With the election coming to a climax later this week, it is likely we are going to see even more money flow into the two campaigns. However, almost 12% of the money raised so far came from the taxi cab industry. It appears that of all the issues facing the city of Austin, the taxi cab debate is one of the most influential yet least talked about issues in the race. Yet the least talked about issue could be the one that decides the City Council Election for the Place 3 seat.